"You could not live with your own failure… where did that bring you?" Disney has released one more 60-second "Special Look" preview for Marvel's Avengers: Endgame, the conclusion to this grand saga in the Marvel Cinematic Universe. As we all know, this is the sequel to Avengers: Infinity War - and the full trailer just debuted a few weeks back, though not much has been revealed. Disney is keeping this one a big secret and not showing much until it opens at the end of this month. Engame stars everyone from the MCU: Chris Hemsworth, Elizabeth Olsen, Tessa Thompson, Scarlett Johansson, Tom Holland, Chris Pratt, Benedict Cumberbatch, Mark Ruffalo, Zoe Saldana, Pom Klementieff, Robert Downey Jr., Don Cheadle, Jeremy Renner, Josh Brolin, Chris Evans, Cobie Smulders, Paul Rudd, Sebastian Stan, Dave Bautista, Chadwick Boseman, Danai Gurira, and many more. Tickets on sale now, check your local listings, they're doing back-to-back showings of both Infinity War + Endgame at many theaters. You can rewatch the teaser trailer for Marvel's Avengers: Endgame here, or the full-length official trailer. The Avengers prepare for a final showdown with Thanos. 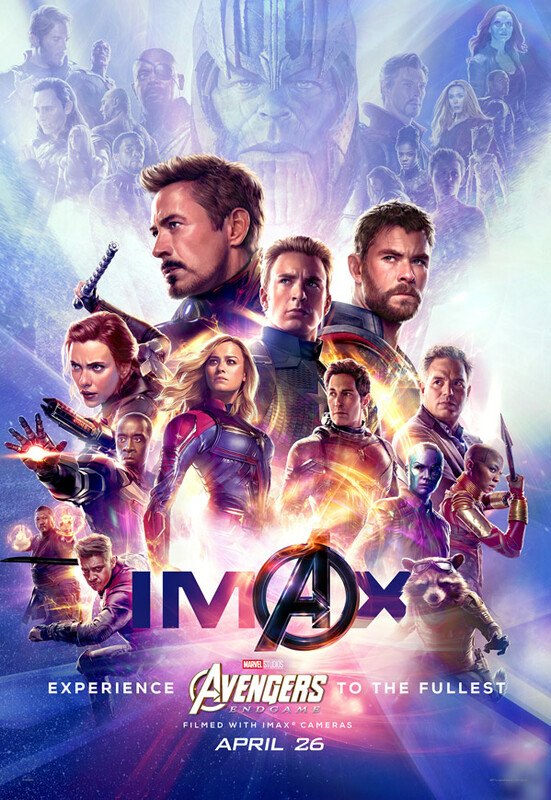 A culmination of 22 interconnected movies, the fourth installment of the Avengers saga will draw audiences to witness the final turning point of this epic journey. Our beloved heroes will truly understand how fragile this reality is and the sacrifices that must be made to uphold it. Marvel's Avengers: Endgame is once again directed by Anthony Russo and Joe Russo, known as the Russo Brothers, directors of the movies Welcome to Collinwood, You Me and Dupree, Captain America: The Winter Soldier, Captain America: Civil War, and Avengers: Infinity War previously. The screenplay is written by Christopher Markus & Stephen McFeely; based on the Marvel comics by Stan Lee and Jack Kirby. Disney and Marvel Studios will release the Russo Brothers' finale Avengers: Endgame in theaters everywhere starting April 26th, 2019 to kick off the summer. Get your tickets to see this here.